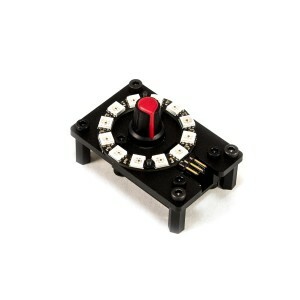 New RobotGeek I/O Boards and Kits! We have 4 new RobotGeek I/O Boards, a new spin on an old knob, a bigger screen, and a cost effective kit for the classroom that you’ve just got to see! Want to make your project kick into gear when life turns up the heat? The RobotGeek Temperature Sensor can feel its way through! 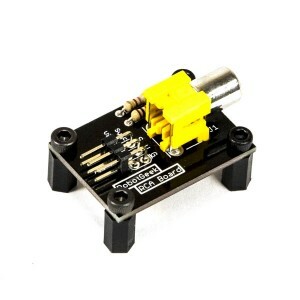 With the 3-pin Sensor Cable standard, you can easily connect this to your project and start reading the temperature! Use it to activate your air conditioner, control the temperature in a cold frame, log the temperature of a greenhouse, or to monitor the temperature of a pie on the windowsill! The options are limitless and the temperature is accounted for. Want your next project to send a clear signal? 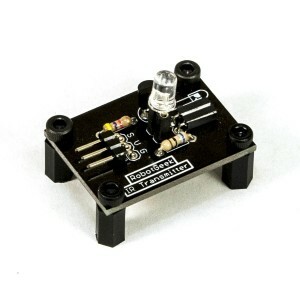 The RobotGeek IR Transmitter can send data to various devices in your sights! 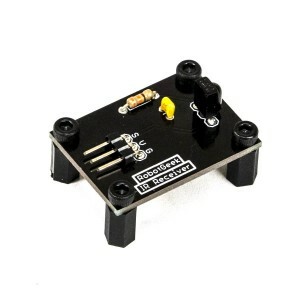 Use it to control your TV, or send signals to another ~duino outfitted with a RobotGeek IR Receiver! 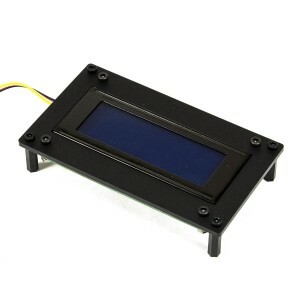 The RobotGeek 4 Line LCD w/ Mount is a perfect screen for your next project! With twice the space of the original RobotGeek LCD, you can easily display scrolling lists, paragraphs of text, or even make a tile-based game! The display can be easily mounted to projects and Workbenches. 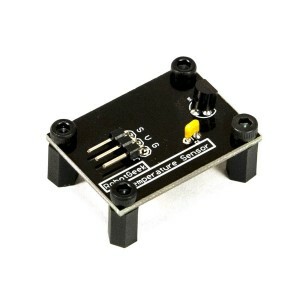 The bottom has the standard RobotGeek 1cm X 1cm grid making all RobotGeek products compatible with each other. The RobotGeek Classroom Experimenter’s Kit offers the widest range of arduino learning flexibility with the lowest barrier to entry to date! 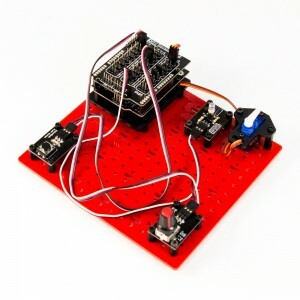 This kit is designed to move students entirely through the first 7 Chapters of RobotGeek 101, which covers the basics of building, wiring, and coding in an arduino environment! This is a fantastic way to get started, learning about things like Serial Communication, Digital I/O, Analog Input, PWM, and Servo Control.